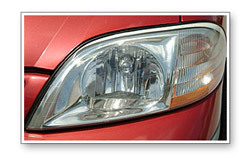 Wolfgang Plastik Lens Glaze restores clear plastic headlight lenses to perfect clarity. 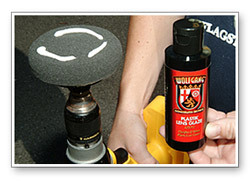 Removes haze and smoothes plastic. Contains no abrasives. Home > Wolfgang Product Line > Wolfgang Plastik Lens Glaze 4 oz. 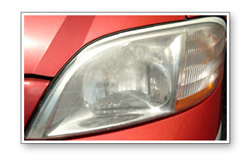 A cloudy headlight that needs restored. 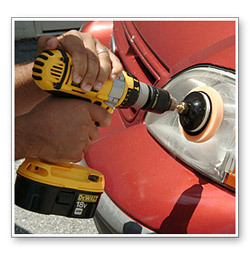 Use a 4" orange pad to work Wolfgang Plastik Lens Cleaner into the headlight.